Oh no! Caught a cough? 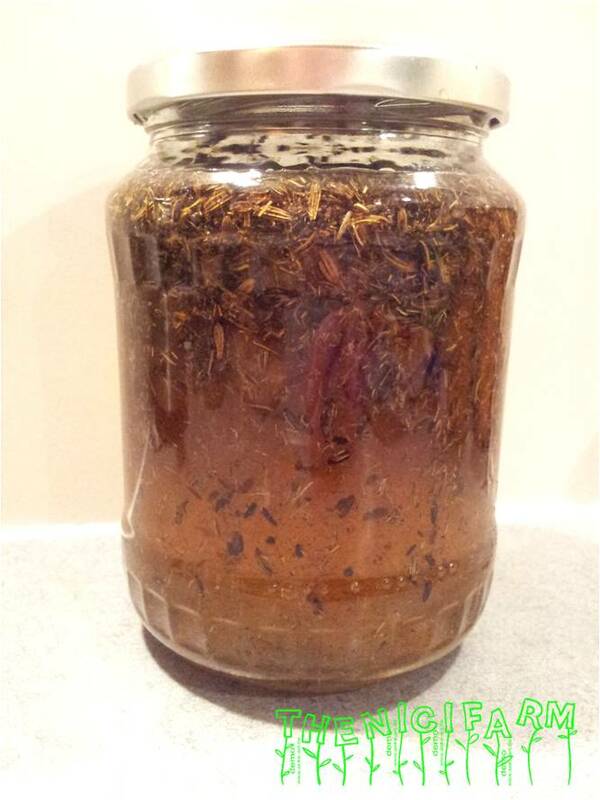 Here I have the best and most tasty cough-syrup you can even use for your toddler.
! Note: No honey should be given to children under the age of 1 year! Mix and let sit for 7-10 days. Turn glass once a day. Warm the honey a little bit and pour through a sieve to get out the largest part of the fennel seeds. Fill fennel-honey into bottels. You can keep the fennel seeds as well in a jar to make a sweet fennel tee. Fennel loosens the mucous in the bronchia and eases the transportation out of the lung. This entry was posted in Natural remedy.